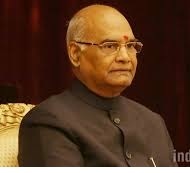 President Ram Nath Kovind today appointed five governors for the states of Bihar, Tamil Nadu, Assam, Meghalaya and Arunachal Pradesh. Lieutenant Governor for Andaman and Nicobar Islands was also appointed. India leapt up the global rankings by 12 places to take the 14th spot in terms of best country for expats to live and work in, This list is topped by Singapore. Defence Minister Nirmala Sitharaman visited on a two day visit to Jammu and Kashmir during which she reviewed the security situation along the Line of Control (LoC) in the Valley and Line of Actual Control (LAC) in Ladakh region. Aeris Communications on Friday entered into a partnership with Bharat Sanchar Nigam Limited (BSNL) to provide packaged Internet of Things (IoT) solutions and services to small, medium businesses and public sector undertakings (PSUs) in India. 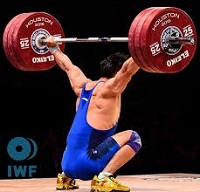 Nine countries including Russia and China banned from World Weightlifting Championships for one year. Norway today extended bilateral cooperation within the health sector through the Norway India Partnership Initiative (NIPI) for a period of three years starting 2018. Assam Governor Banwarilal Purohit was today shifted to Tamil Nadu, which has been witnessing a political crisis and did not have a full-time governor for over a year. Purohit was among five governors appointed by President Ram Nath Kovind. Finance Minister Arun Jaitley says government is finalising electoral bonds scheme to clean up political funding. UN Secretary General Antonio Guterres asks Myanmar to end military operations against Rohingyas and open humanitarian access to its conflict-ridden western region. Australia beat India by 21 runs in the fourth One-day International match at Bengaluru last night. Russia and the United States have agreed to co-operate on a NASA-led project to build the first lunar space station, part of a long-term project to explore deep space and send humans to Mars. The World Maritime Day is being formally celebrated by the International Maritime Organization (IMO) on 28 September 2017. International maritime industry’s contribution towards the world’s economy, especially in shipping. The Insolvency and Bankruptcy Board of India (IBBI) on Wednesday registered National E-Governance Services Limited (NeSL) as an Information Utility (IU) under the IBBI (Information Utilities) Regulations, 2017. With this NeSL has become the first IU registered by the IBBI and the registration is valid for five years from the date of registration. The Maharashtra government signed an MoU with South Korea for increased co-operation in infrastructure projects like development of smart cities, roads, airports and metros on the first day of Chief Minister Devendra Fadnavis' visit to that country. The Asian Development Bank (ADB) on Wednesday said it is planning to raise its annual lending to India from an average $2.65 billion per year at present to $4 billion to help propel Asia’s third largest economy towards upper middle-income status. The Union cabinet on Wednesday approved a proposal allowing land owned by the defense ministry to be used by mobile operators for construction of telecom towers and allied infrastructure.